When people seem to be using drugs in very harmful ways, individuals who love or counsel them want to intervene in a powerful manner. They worry about the consequences of the drug use and tend to jump to the rescue. Out of fear, they often aggressively push their agenda: First they try to convince them that they have a drug problem. Then, they tell them what they need to do about it: usually to become abstinent or at least go for counseling. Ironically, these well-intentioned actions often create discord and make matters worse. Rescuing doesn’t work. It basically hijacks the pathway to personal decision-making and change. Instead of people reaching their own conclusions about their lives, someone else does it for them. -Robert Schwebel Rescuing doesn’t work. It basically hijacks the pathway to personal decision-making and change. Instead of people reaching their own conclusions about their lives, someone else does it for them. The individuals being rescued may or may not have a problem with drugs. That’s for them to say. They may or may not want to change. If they do want to change, they should have a say in what that change looks like. Moreover, when you rescue people, you deprive them of an opportunity to take charge of their own lives. So then, what can people do to powerfully assist individuals who seem to be on a dangerous path with drugs? How can counselors, friends, or family members be effective helpers, without breeding resistance and without taking away the power of the people they want to help? The underused alternative to rescuing is respectful, cooperative dialogue that engages people in discussion. This helps them evaluate their drug use and decide for themselves whether they want to make changes and, if they do, which ones. Instead of telling people what to do, supportive helpers treat people who are using drugs with respect, believe in them, and honor their own ability to take power over their lives. A respectful dialogue begins with a request for discussion. People with rescuing tendencies find these terms difficult to accept, but they must adhere to them if they ever want to win trust and have good discussions. Not doing so can damage the relationship and lead to difficulty in earning trust. If people who are using drugs don’t want to have a discussion, then you have to begin with a more basic approach of asking: “What do I need to do to make it feel safe enough for us to talk?” If you want to be helpful, then you can’t skip this question. If someone doesn’t feel free enough to talk with you, then they surely will not be receptive to your advice. When you receive permission to proceed, you can ask the people who are using drugs to explain their own thinking about it. Ask them what they like about drugs. What are the benefits? Listen carefully: Try to understand the benefits, which will help you understand why they’ve been doing what they’ve been doing. People may be using drugs for any number of reasons, for example: to cope with stressful situations; to fall asleep at night; to manage anger and other emotions; or for recreation and pleasure. 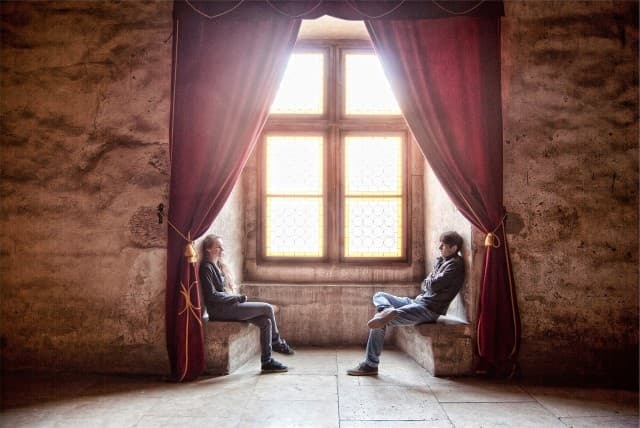 You can enhance the dialogue by showing that you are paying attention and respectfully listening. A good way to do that is by reflecting back your understanding of the drug benefits. For example: “I can see that drugs have been a way for you to cope with all the stress you are under at work and at home. I also see that drugs help you relax and enjoy social situations.” This does not endorse drug use. Rather, it helps people come to understand themselves better. It prepares them for making fully informed decisions about drugs. Now that you have heard about the drug benefits, ask about the harm and potential harm. “Do you think your drug use has hurt you in any way or that it might be harmful to you?” Don’t argue. Just listen and empathize. (These are difficult instructions for rescuers.) Then, ask permission to express your own point of view, and if given the green light, state your thoughts in a clear, non-accusatory way. Explain specifically what you see that makes you think there is a drug problem. For example: “I have noticed that you have been missing appointments and going to work late when you are drinking. You also get very angry at times when you drink, such as yesterday when our neighbor was visiting.” Ask for a response back and try to stimulate a dialogue. This approach of promoting dialogue is not as dramatic as “in-your-face” confrontation. It’s not an overpowering rescue. It doesn’t guarantee a good discussion, but does break down the walls of resistance. It increases the odds that people using drugs will think about what they are doing and listen to your opinion: They won’t feel a need to defend against an onslaught of arguments and directives. Friends, family members, and counselors who take this approach have often been amazed at the openness of individuals who, until shown this type of respect, had appeared to be in denial about their drug use. Mean facing the difficult task of resisting urges to use drugs. This may be the first time individuals have had an opportunity to think about making changes in their drug use behavior without feeling the need to resist someone who is pushing an agenda on them. When you have had a good discussion, you have at least planted the seeds for clear thinking. Better that than an ineffective rescue attempt that breeds resistance. -Robert Schwebel Some people won’t want to change. Don’t argue. When you have had a good discussion, you have at least planted the seeds for clear thinking. Better that than an ineffective rescue attempt that breeds resistance. Many people will be open to change. Bear in mind that people change in different ways. Some want abstinence. Some want to cut back and reduce harm. Some want to phase out drug use. Some want to experiment with different options to see what works. If you push an agenda, you’ll probably get resistance. The best bet for success is to help people discuss the pros and cons of various options, without pushing your agenda (tough for rescuers). Then let people enact the changes that they believe will work. Back them up and help them evaluate their progress. If one approach is not working, they can try another. In the end, people can’t be rescued. They only make the changes that they, themselves, decide to make.